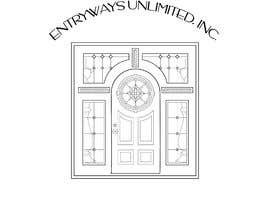 Looking to take our original logo, and give it a face-lift while maintaining the current design that is based off of a custom door originally constructed by our company. Would like to see Vector line drawing, along with a color version that is less cartoon-like and more realistic. Attaching scanned photo of the original door, original logo, and colorized version of the logo. 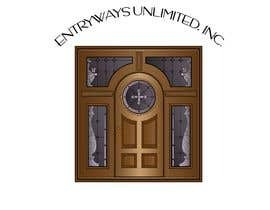 YES THAT IS WHAT WAS IN THE DESCRIPTION - THANK YOU FOR YOUR SUBMISSIONS :) Looking to take our original logo, and give it a face-lift while maintaining the current design that is based off of a custom door originally constructed by our company. Would like to see Vector line drawing, along with a color version that is less cartoon-like and more realistic. Attaching scanned photo of the original door, original logo, and colorized version of the logo. THANK YOU EVERYONE FOR YOUR ENTRIES - HAPPY NEW YEAR! We are reviewing these today! Thank you all for your participation! Hello how are you, I send my proposal #38, try to do it as detailed as possible, I also send the proposal in color and negative. I remain attentive to your comments, thank you.